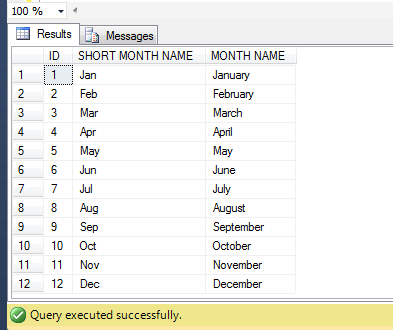 Few days ago, I was working on a report and came across with an issue regarding conversion of Short month name to Month name and we do not have any built-in function to do it in SQL Server. So I commenced my research and finally found few solutions. Before proceeding with the solutions, let me create a sample to demonstrate this solution. In this method, we will use the old approach. In this approach, we need to manually concatenate day with short month name and year to make a complete date of that particular month using additional single quotes and then get the Month name from this concatenate date using DATENAME function. Given below is the script. In this method, we will use the New approach. 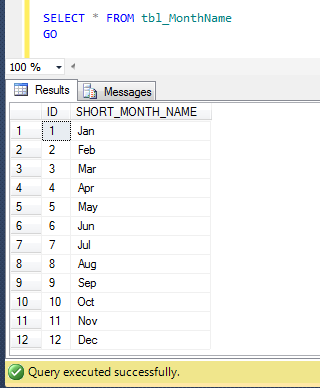 In this approach, we need to automatically concatenate day with short month name and year to make a complete date of that particular month using CONCAT function (without any single quotes) and then get the Month Name using FORMAT function. Given below is the script. In both methods, we used different approaches using manual concatenation and automatic concatenation using CONCAT function. I would recommend Method 2 because in my earlier article I found that CONCAT function is much faster than the normal concatenations. 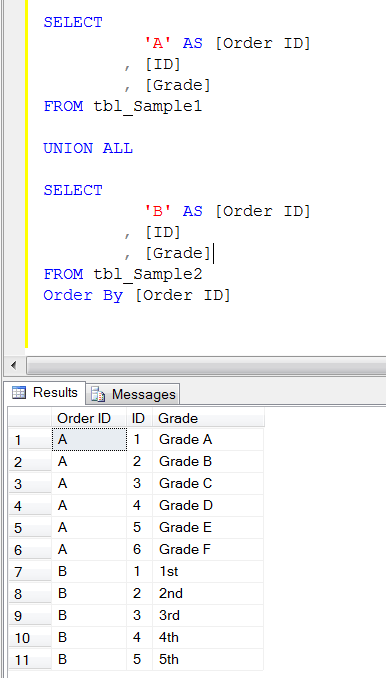 In my earlier article, I developed a solution How to use multiple values for IN clause using same parameter (SQL Server). 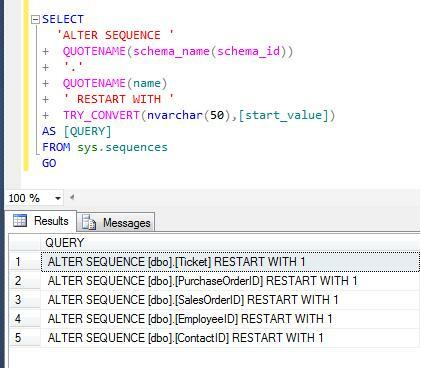 Recently, I received a query, inquiring how to pass multiple values through one parameter in a stored procedure. 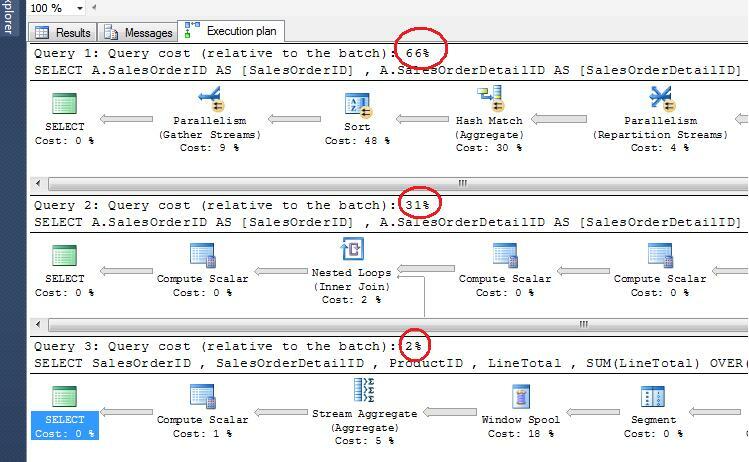 In this solution, you need to pass a single comma delimiter string to the stored procedure. Once it is passed, you need to convert the string parameter to xml variable and split it using comma delimiter and then you can query it. 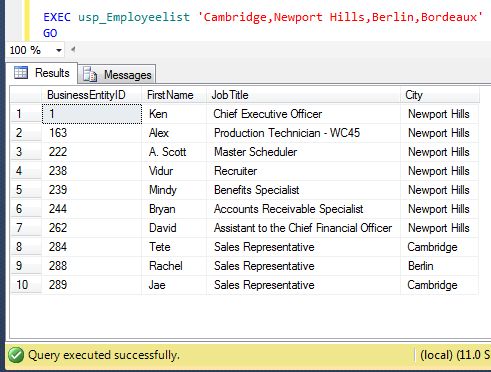 In this solution, you need to pass a single comma delimiter string to the stored procedure. 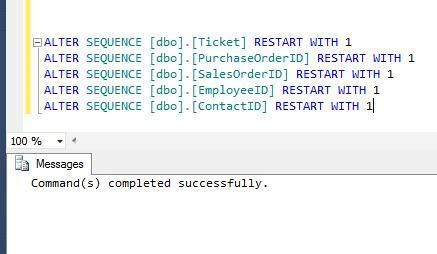 Once it is passed, you need to replace the parameter with single quote and create a dynamic query and execute it. I came across this problem recently, when I was working on a report and I needed to truncate the date time till seconds. Given below are the two different methods we can use to achieve it. 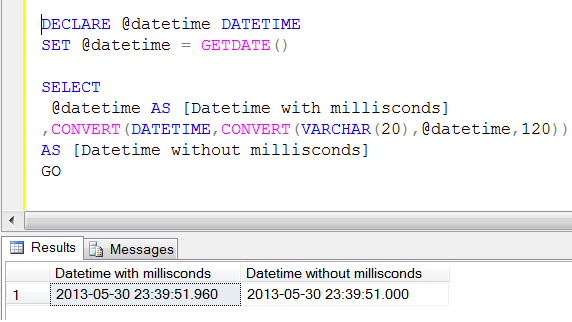 In this method, we will first convert the datetime value to varchar, truncate it and then convert it back to datetime data type using CONVERT function twice. 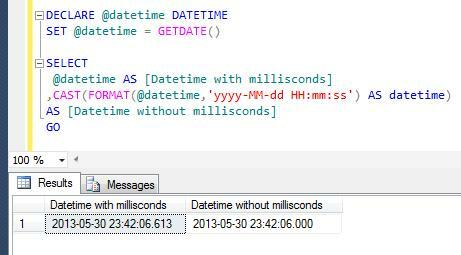 In this method, we will first FORMAT the datetime value to a defined format (truncate milliseconds) and then convert it back to datetime data type using CAST function. A few months ago, I wrote an article about THROW a new technique to raise an exception and transfer execution to a CATCH block shipped with SQL Server 2012. I also compared throw with Raiserror in that article partially. Later on I found a lot of differences and found that THROW is much better than RAISERROR. Let me create a sample error message to demonstrate the difference. If you pass any message_id to RAISERROR, the message_id must be available in sys.messages. RAISERROR (51000, -- Message id. with that error number was found in sys.messages. message is added using sp_addmessage. If you pass any message_id to THROW, the message_id is not necessary to be available in sys.messages. If you pass any message_id to RAISERROR, the message_id range must be between 13000 and 2147483647 and it cannot be 50000. RAISERROR (49913, -- Message id. The server could not load DCOM. Software Usage Metrics cannot be started without DCOM. If you pass any message_id to THROW, the message_id range must be between 50000 and 2147483647.
is outside the valid range. If you pass any existing message_id to RAISERROR, it will act upon the same Severity level. RAISERROR (80000, -- Message id. If you pass any message_id to THROW, whatever the Severity level is, it will always show Severity level 16. If you use RAISERROR to trap the bug, it will raise the error but with the incorrect error number. If you try to use THROW to raise the error, it will give you the exact error number. THROW cannot contain printf formatting styles. As per the above differences THROW function leads over RAISERROR and in my opinion also THROW is better to raise an exception and transfer execution to a CATCH block but again it depends upon the requirements. A couple of days ago, I developed a tool how to recover the dropped index without backup. In this tool, running total needs to be generated. So I did some research and came across couple of options along with the best option as well. In this method, we will use the self join to calculate running total. 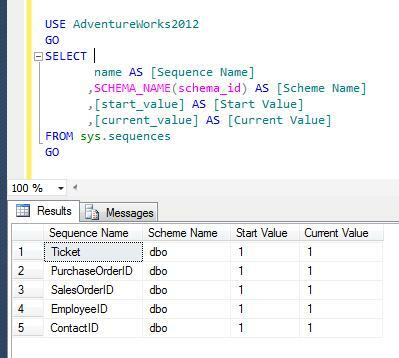 --This script will work on SQL Server 2005 and above. In this method, we will use the sub query to calculate running total. In this method, we will use the SUM function to calculate running total. 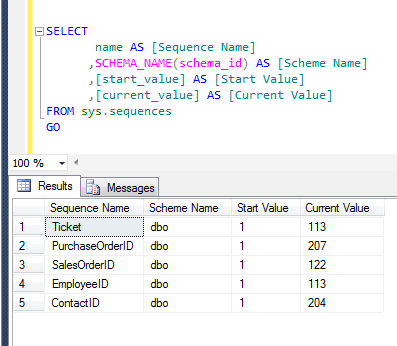 --This script will work on SQL Server 2008 R2 and above. All of the above queries will give you the same result set. However lets view their performance . As you can see, the performance of Method 3 is better than other methods. Also, if you look at the line of code, it is also shorter in Method 3 vis-à-vis other methods. So, I would recommend method 3.